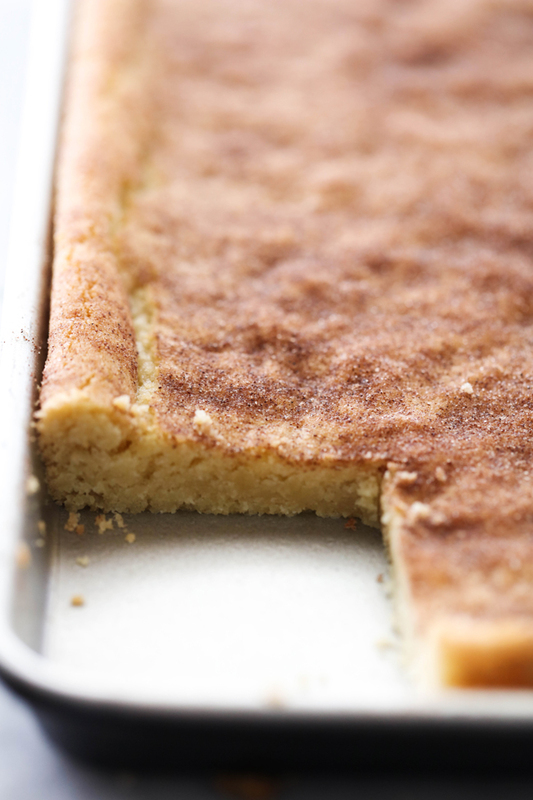 These Snickerdoodle Cookie Bars are outstanding. No more rolling each ball of dough individually- this recipe turns a time consuming recipe into an easy, quick method. Enjoy the delicious snickerdoodles in bar form. 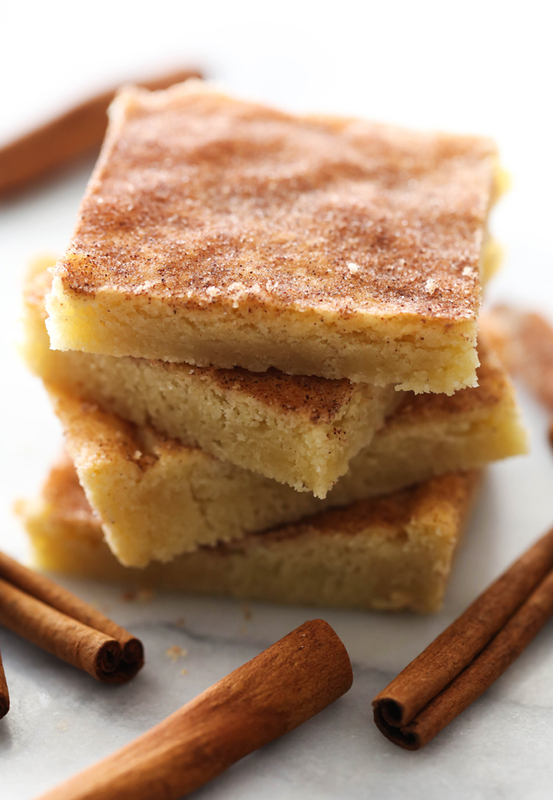 A delicious blend of cinnamon-sugar coat the top of the moist and soft cookie bars. This will be a recipe you want to make over and over again! This is my absolute favorite time of year. I love the beautiful colors outside and the crisp cool air. I also love all the baked goods and delicious smells that accompany them filling my house. Cookies are one of my most regularly baked recipes in my kitchen. Snickerdoodles happen to be a favorite of my family. I the cinnamon/sugar flavor and how it coats the cookies perfectly. This recipe makes snickerdoodles SO EASY! Simply pour all the dough in a pan and press evenly over pan. Sprinkle the cinnamon/sugar evenly over top. The ingredient line up is few and simple. Cream of Tartar is an ingredient must for snickerdoodles. It provides chew and tanginess and works as a leavening agent for the cookie. Once you try the ease of this recipe, there is no going back to rolling each individual ball and rolling each ball in cinnamon sugar. This cuts the time without cutting into flavor. You should definitely give these a try! Add salt, baking soda, cream of tarter, and flour and mix until just blended. Spray a 10x15 inch pan with cooking spray. Press dough evenly over pan. Sprinkle with cinamon/sugar and bake for 18 to 20 minutes at 400 degrees F.
You have written in the recipe: 1 teaspoon soda, that is baking soda right? Your not using like Pepsi or something right? I know its a silly question but I know some recipes do have soda in them. yes. I am so sorry. It is now updated in the recipe to state baking soda. Thanks for catching that! I'm guessing that's 1 1/2 cups of sugar, but is that correct? Mine never got done...even after 30 min. Is 10x15 correct pan size?